Herbs add flavor to a variety of dishes. Besides being tasty, some herbs are also packed with ingredients of a medicinal nature. You can enjoy all the flavors and the health benefits of most spices you would otherwise have to buy from stores. 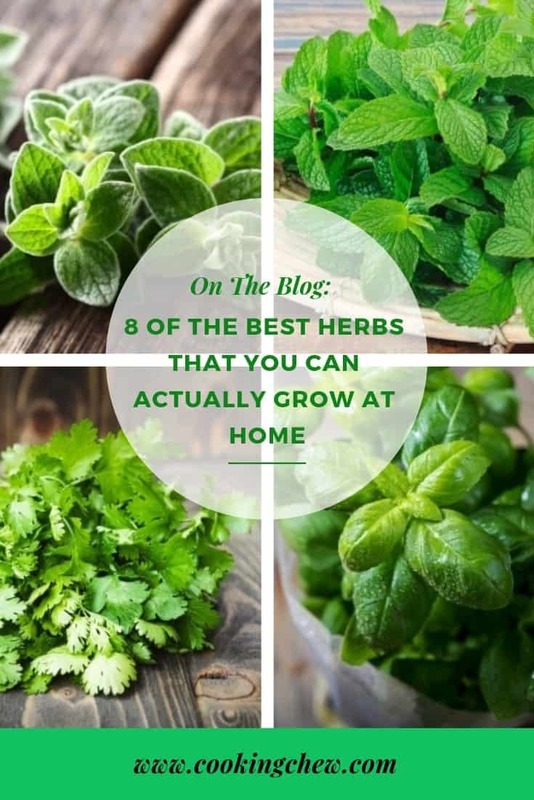 Even more incredible is the fact that most herbs are relatively easy to grow at home. 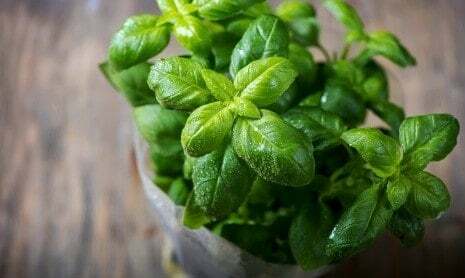 Growing herbs at home means you can save money and enjoy the convenience of using them when you need them, with no pesticides or wax residue on them. In this post, we will describe eight of the most popular and easy-to-grow herbs at home. Make quick work of processing herbs (even the store-bought ones) with these herb shears. We can vouch for this time-saver, since we LOVE using fresh herbs in recipes whenever we can. Say no to a brown thumb! You can effortlessly and successfully grow fresh herbs in your backyard, patio or even on your windowsill. If you are new to home gardening, here are 8 easy herbs to start an herbal garden. Italian Parsley is perhaps one of the best herbs to grow at home. Besides being very easy to grow, Parsley is relatively hardy and will do well in several geographical zones. Once the herb matures, you can keep harvesting it for at least 12 months. That means a year of fresh parsley on your table. 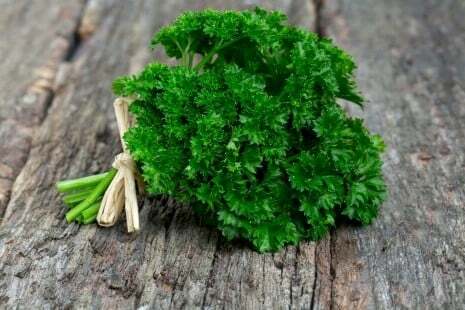 Parsley is moderately bitter to enhance the flavor of various foods. It can enhance dishes such as stew or be the robust hero in a taboulleh. The herb may help improve indigestion, and the leaf, seeds and root are all used for a variety of self-care applications. As with many edible herbs, parsley is a rich source of vitamin A and C.
You can best raise it in a pot or in your garden from seeds in autumn or spring. It requires adequate sunlight and moist soil. Parsley is evergreen and bushy. If the leaves start turning yellow, then it is time to add liquid fertilizer in winter to give your plants the needed nutrient boost. Basil is among the most fragrant herbs you can grow at home. Its roots can be traced to Italy. You will encounter it in various Italian cuisines including salads, pesto, sauces, and pizzas. Basil is a powerful antioxidant and provides first line defense against hypoglycemia (low blood sugar). Ever considered dessert made with basil? It's about lime, er, time, with this creamy Lime Basil Pie from Taste of Home. There is a myth that growing basil alongside tomatoes can enhance their taste. Well, there is no evidence to support such an assertion. It will, however, thrive in moist, well-drained soil. with lots of pruning to encourage new growth. Like parsley, basil is hardy and easy to grow. Grow your own basil at home with this DIY kit. Have you been looking for an herb that promotes hair growth, helps brain function AND reduces stress? It's delicious too of course—it's hard to beat a pork loin with a rosemary-and-pepper-packed bark! And the aroma! The herb is robust and needs almost no attention, but pick only 20% of the plant's leaves in the morning when the stalks are oil-filled. It grows perfectly with only rainwater and will last in the ground for several years. Rosemary can grow perfectly indoors in a container and large pots. You can use rosemary as a good hedge because it can grow tall and wide and it loves direct sun. This herb is handy in spicing up a variety of dishes including meats, vegetables, and sauces. 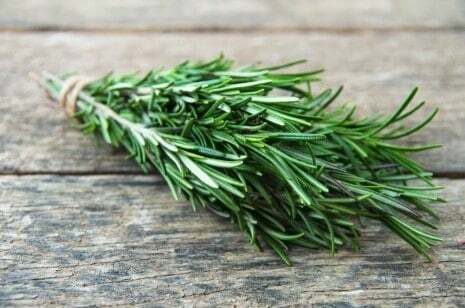 And about that aroma—you can add rosemary to a potpourri to make your kitchen smell AMAZING. Sage is a powerful aromatic herb for seasoning vegetables, sauces, and meats. Because of its power, use sage sparingly. It tends to overpower other flavors if used in combination with other spices or herbs. Sage oil has several health benefits – it can relieve cuts, boost memory and reduce the effects of inflammation. 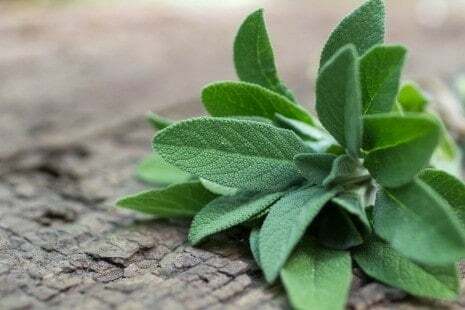 It comes as no surprise that sage makes a pungent tea and was once considered a natural medicinal cure for all illnesses! Fun facts about Sage: Sage has a woody stem that can reach two feet high and is in the mint family. Some of the ornamental variety of sage is called Salvia. Plant it in a place that receives full day sunlight for best results. It also needs high-quality soil and frequent morning watering (every other day). Sage is lovely with pork, of course, and we highly recommend that you try your hand at home-made pork sausage from Epicurious. Check out this cute trio of potted herb seed starters for your kitchen windowsill. 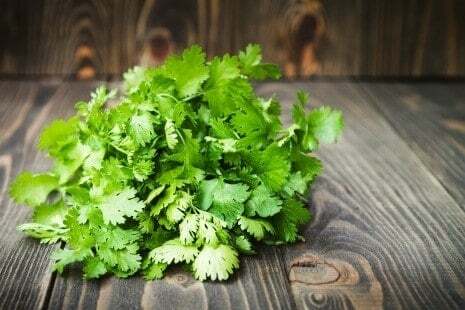 Cilantro is the common name of this inexpensive and easy-to-grow herb in the west, but it also goes with other names including coriander and Chinese parsley. This herb is perfect for adding to spicy foods such as chili and Chinese, Mexican, Indian and Southeast Asian cuisines. Cilantro seeds are called coriander. The seeds will grow early in the season. It does not grow well if the ground is warm. Therefore, you may want to grow it indoors in a container or a large pot where you can create a micro-climate suitable for the unique needs of the herb. Mix all ingredients together and let rest in the fridge for 30 minutes. Shake or stir before tossing with salad. 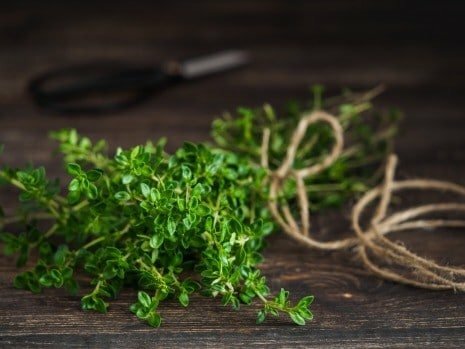 Thyme is a delicate herb but extremely versatile. It is available in various strains, making it an excellent ingredient in almost every cuisine in the world. The grass is often used to add flavor to beans, eggs and vegetable dishes. (We make this big, delicious pan of squash-potato dish by Martha Stewart several times a year and it calls for A LOT of thyme!) You can add it to stews and soups. Thyme’s tiny leaves, as well as unique trailing system, make it an ideal choice of a houseplant. Thyme best grows in pots and prefers fast-draining soils. Place the container in a sunny and warm window. Water the plant only when the surface of the ground begins to dry up. Do not let the plant wilt because it will not regrow. This improves drainage and encourages the herb to grow and expand. Check out our expansive article on the benefits, cooking tips and recipes with quinoa using thyme. 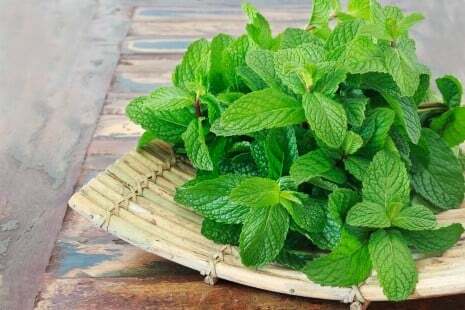 Mint encompasses a wide variety of flavors. You can devote a whole garden to mint. You can choose from peppermint, chocolate, lemon, spearmint, apple, orange, banana and more. Snip leaves and sprigs for tea as well as mixed drinks, desserts and salads. Most varieties of mints tend to grow rambunctiously and therefore need more attention than other types of herbs. Mint is labor intensive and aggressive. It can easily take over your garden and interfere with the growth of other herbs. Mints are better grown in containers. Another great herb to grow at home is oregano. This herb is an essential ingredient for Italian, Central American, Mexican and Middle Eastern Cuisines. Oregano belongs to the mint family. You can strip its leaves from snipped stems and add them to meat, tomato sauces, soups, casseroles, and stews. Dry leaves usually have a stronger aroma compared to fresh ones. 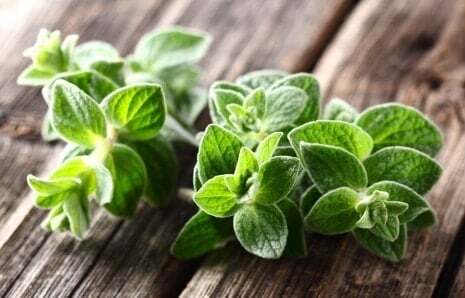 Oregano is relatively easy to grow. Just use the same planting techniques as you would others in the mint family. Water them only when the surface of the soil dries up. The plants require little to moderate sunlight to produce. Try this Pistachio-Oregano Pesto from Food and Wine for a zippy side to steamed fish! 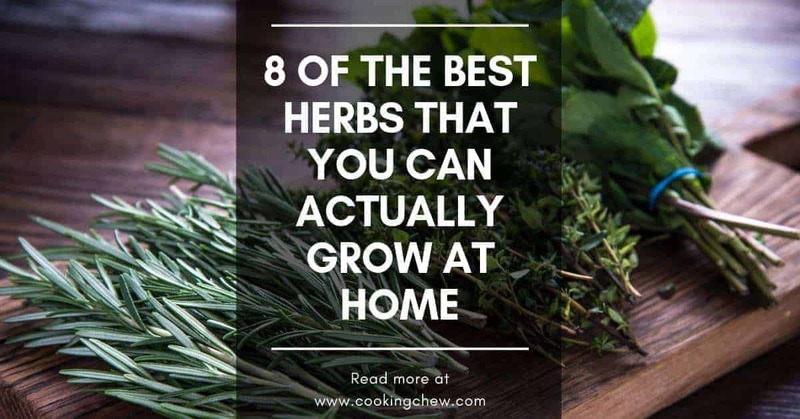 This list of eight best herbs to grow at home is not exhaustive. If you grow them indoors, you can guarantee your family and loved ones freshness that lasts all year round. Most herbs are a breeze to grow and have several medicinal properties. Research each of the herbs of interest to get the most out of a growing season. Herbs such as cilantro, chives, lavender, dill, flannel, and chamomile are all great for growing at home. Hi there, I’m Angela Williams from OutdoorGardenCare.com. I love gardening. Specifically, I have dedicated my time and effort to researching better ways to grow successful gardens.